Are all cat food bowls equally safe for your cat's health? In this article we will examine each type of cat bowls in hopes of answering that question. 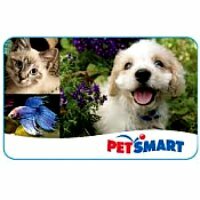 If you've been to your local pet food store lately you will see that cat food dishes come in many different sizes, colors, shapes and prices. Although you might enjoy buying the most attractive bowls for your feline friend, or is that just us, it's important to make sure it's also the safest. Cat food bowls come in four main types, Ceramic, Plastic, Stainless Steel and Glass. If your into decorative attractive bowls, then these bowls are for you, well mostly your cat. Ceramic cat food bowls come with many different fun and creative designs to choose from, they are also easy to clean and dishwasher safe. These bowls are quite sturdy, and are not easy for your cat to push around, so wherever you place them your guarantee to come back and find them there. Although the decorative art can be fun to choose from, it is also important to keep in mind that this artwork may contain toxic lead. We have great confidence that the ceramic bowls that are sold at well known pet stores do not contain lead in the decorative artwork, however when buying online you need to be extra carefully by calling the manufacture and clarifying. Although we are fans of ceramic cat bowls, they will definitely break if accidently dropped from your hands and they sometimes even crack in the dishwasher. Once a crack is found in your cat's ceramic bowl, you should throw it out, because bacteria can easily grow in even a small crack. We recommended ceramic bowls both as a food and water bowl for your cat, just remember to regularly check for cracks and scratches. 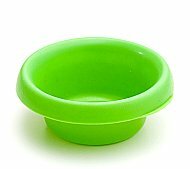 These are definitely the cheapest and easiest cat bowls to find, however cheap isn't always best. Although they are durable, and lightweight, bacteria easily builds up inside of them. These bowls are easy to scratch, without you even noticing, and in those scratches bacteria slowly builds up. If a plastic bowl is scratched, the chemicals or by products from the plastic can leak into the cat food or water. Bisphenol, is a chemical that is found in plastic bottles and plastic containers that may be dangerous. Plastic bowls are not recommended as a food or water bowl for your cat. 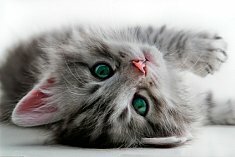 Plastic cat bowls can be toxic to your cat's health, so can certain foods, here is a list of foods that are toxic to cats. Stainless steel cat food bowls are durable, easy to clean and dishwasher safe. No need to worry about them breaking or cracking. Although not decorative, they do come in many different sizes. However, these bowls have been said to have a bit of a metallic taste, like a stainless steel thermos, you know the ones that keep things hot or cold, their great but sometimes you taste a little bit of the steel. These bowls , if cleaned regularly, are less likely to build up bacteria within them. We also recommended stainless steel bowls for both your cat's food and water bowl. At first your cat may not like to use this bowl because of the slight metallic taste, but after several washes that taste usually disapperas. When we buy stainless steel bowls for our cats we usually run them through the dishwasher at least twice before they use it, or you can wash it two or three times, in an attempt to reduce or eliminate that potential metallic taste. 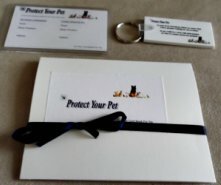 Although it's fun to choose unique and attractive accessories for our cats, it's also important to make sure they are safe, to find out how to choose safe cat accessories read Cat Accessories: How To Buy The Safest Ones. Glass cat food bowls normally come in shatterproof glass. They might not be durable, just a slip of the hand and there goes your bowl, but they are easy to clean and dishwasher safe. Glass bowls may also crack in the dish washer and then have to be thrown out for both safety reasons, your cat could get cut, and possible bacteria build up.